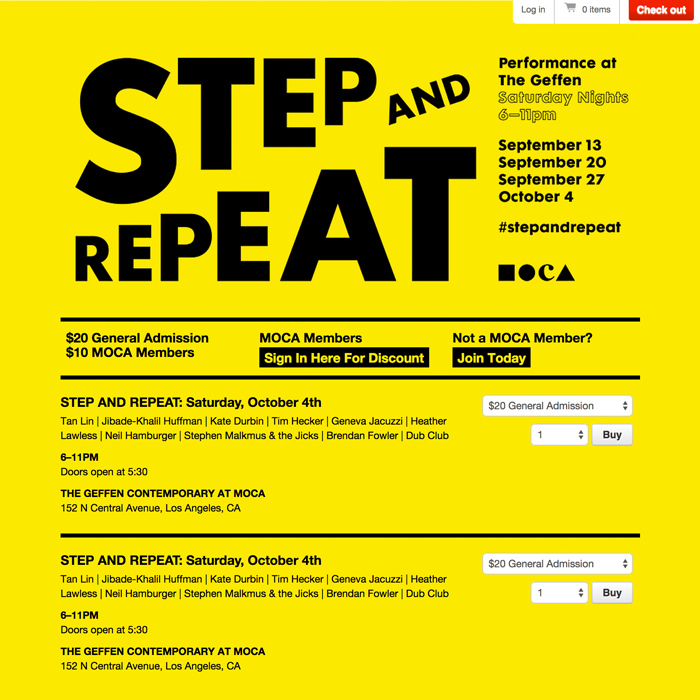 Built an event ticketing sales portal on Shopify for The Museum of Contemporary Art Los Angeles’s event series titled Step and Repeat. We utilized the Evey Event Management Plugin plus some custom coding to create a ticketing system that offered existing museum members a discount to purchase tickets. PDF tickets were delivered via email and we provided instructions for on-site mobile checkin via QR codes.